SE corner 3/3/1 residence with 10" ceiling, large sunny terrace, AMAZING DIRECT OCEAN VIEWS and city views. This beautiful renovated apartment comes fully furnished with modern decor, exquisite marble floors, private elevator entrance, and custom everything. Huge walk in master closet and his/hers master bath. 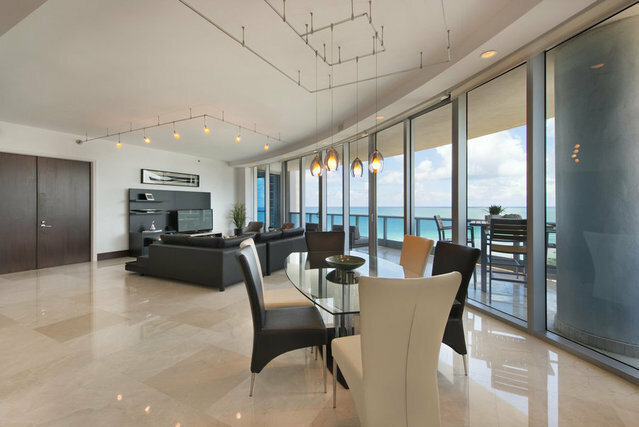 Most desirable luxury condominium with five star amenities include: spa & fitness center, private beach, tennis courts, children playground, concierge, valet and security 24/7.